5.2% of the US workforce is injured every year, and as the holiday season approaches novice material handling workers will experience peaks of two-to-five times their average supply chain volumes. 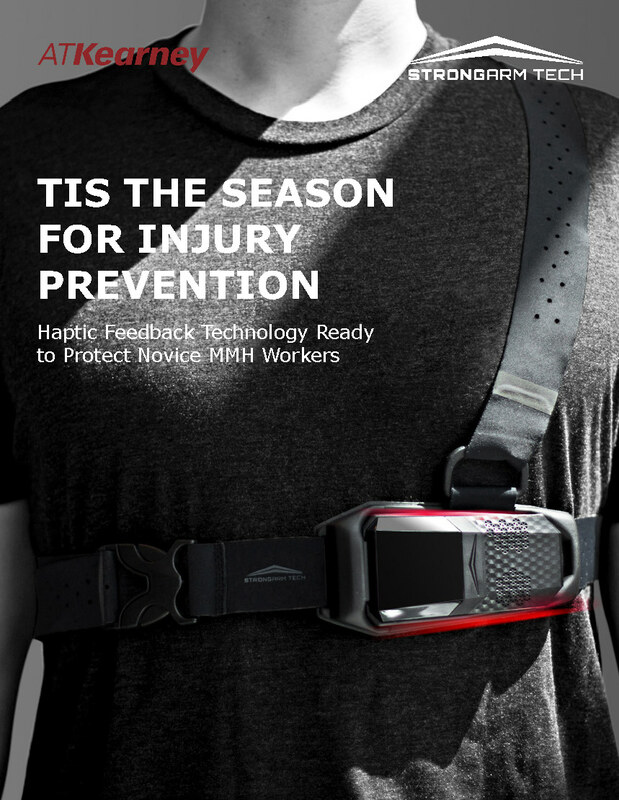 StrongArm’s FUSE technology is providing solutions to critical safety issues to protect Industrial Athletes through peak season Over a 3-month period, StrongArm's FUSE sensor’s haptic feedback capability achieved a 41% reduction in lower back injury rate. This equated to over a 560% ROI from the wearable technology for a major 3PL company.